The Arabian horse is the royalty of the horse world. 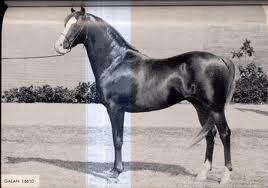 With a reputation for intelligence, spirit and stamina, the breed has a distinctive head shape and high tail carriage. Watch this proud breed compete at the Estes Park Arabian Horse Show July 2-3, 2011 at the Fairgrounds at Stanley Park. The competition begins at 8 a.m. and admission is free. Horses and their riders will compete in various competitions, including performance, halter, trail, reining and dressage. This is the Region 8 qualifying show for 2012. New this year is the first “Meet an Arabian Horse” event. Beginning at Noon on Saturday, July 2, the public is invited to introduce themselves to this amazing breed. Bring your camera for this free photo opportunity. Saturday evening, July 2 is movie night. Red Barn Arabians will sponsor the showing of the newly released “Path to Glory: the Rise and Rise of the Polish Arabian Horse.” With interviews and rare archival footage, this documentary follows the triumphant saga of how a beleaguered nation rose up to become the pinnacle of Arabian horse breeding.” The movie will be show under the grandstand. Children 12 and under get a “hands-on” experience at the Painted Horse Contest Sunday, July 3 beginning with sign-in at 10:30 a.m. Using non-toxic paint, five teams will create live works of art using Arabian horses as their canvas. At noon judges will award prizes to the winning teams. The contest is free and open to the public. For more information, contact Estes Park Show Manager Tamara Boose at 970-215-0922. For more information about the Arabian Horse Show, visit their website at www.cahcestesparkshow.com.